Fruit has the good fortune of being one of the foods babies love most. This tends to spill over into the toddler years and as long as you aren't allowing a lot of sugary snacks and cereals, your child's love for fruit can go on indefinitely. The biggest problem most parents face when it comes to the fruit requirement is juice. Juices may be fortified with vitamin C, which is great, but they often come with added sugars, flavors, and they lack fiber, which is so important in a toddler's diet. Toddlers need fiber to keep their bowel movements soft and easy to pass. It also keeps them going regularly and helps prevent constipation which can cause potty training to grind to an unpleasant halt. If you choose juice, try to keep it to 1/2 cup (4 ounces) per day. Another issue involves canned fruit. It's often packed in sugar or corn syrup which can add unnecessary calories. 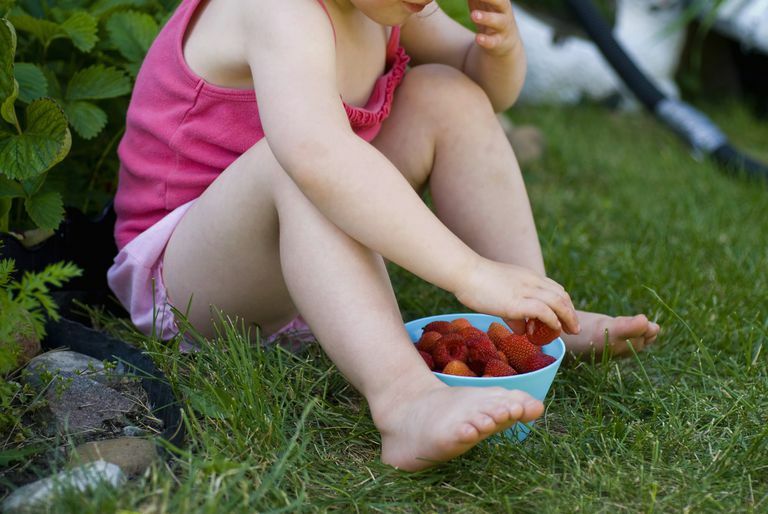 Your toddler only needs about 1,000 calories each day and fruit is sweet enough without the adding sugars. Check the label and choose fruit that is packed in water, its own juice or other fruit juice with no sugar. Be careful with fruits like grapes, raisins, and other dried fruits. These can pose a choking hazard and should be chopped up appropriately. If introducing fruit snacks like fruit leather or fruit chews, choose natural varieties with 100 percent fruit and few sugars and again, make sure that the pieces are small enough that your child will not choke. Fruit leathers and dried fruits can be chopped and soaked in warm water which makes them easier to chew and swallow. Add these to bread, oatmeal, yogurt, or pudding for a nice treat.